My First Automotive Video Review | Redline: Live to Drive! I would truly love to test one out! They are quite the capable machine, more like a 2 tonne boat on wheels that drives better on a race circuit than most track day toys and at the same time be a soccer mom vehicle and grocery getter. Here is a review from the guys at fifth gear for a 2010 (still a second GEN) cayenne turbo, which I truly believe is only a tiniest bit less involving and exciting than the turbo S would be. I have liked Mazda ever since a 626 I had from new. Had a lot of fun in it on long trips. Mazda 626 great car back in it’s time! They always had a sense of style and were always a fun car to drive! The next few years Mazda has a great product line to finally compete with fellow Japanese and Domestic brands once again! Thanks for the follow. Will follow back! You happen to watch any F1? Good vid. I will sub to your YT channel within the next 24 hours. Yes, I am a photographer but I was a former teacher so I do math vids on YT–lol. Thnx for subscribing to my blog here! Oh, and I am also a car enthusiast. In fact I help people buy cars for a fee. I do all the negotiating. Just saved someone $5700 off the sticker of a 2014 A4 yesterday. 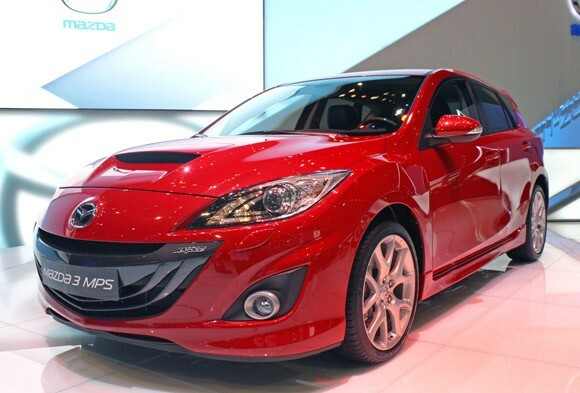 Have you watched the Top Gear episode staring the Mazdaspeed 3? What did you think of my first rap, Trendz? I read the rap and it’s pretty good! It’s a bit out of my realm however I think they are words well spoken. Keep up the passion! Live to drive….and maybe listen to some rap in the cabin. Thank you for following imaginenewdesigns. I enjoyed watching your automotive video review. Now I know that car has too much power for me! 🙂 Happy Holidays! There’s more to performance cars than just numbers. The last time I found torque steer fun was back in the early 80s driving a Renault 30TX. After a while it became tiresome. I’m no VW fan, but the Golf mentioned in your post is the more complete car, if I were to have a Mazda make mine an early RX3 or RX4 – they offered something the europeans lacked – visual flair, and a wankel engine. We love our Speed 3. We just got a Mazda RX8. Not as fast as the Speed 3, but fast enough and a lot of fun to drive. Biggest RX-8 complaint always has and always will be it’s straight line performance but nobody could ever doubt it’s capabilities on a track. Truly something special. I drove the Speed 3 the other day after only driving the RX8 for a couple of weeks. The first thing I noticed is the RX8 has a little more stretch room for my long legs, but the biggest difference, besides the speed, is that the RX8 is really solid and more responsive than the Speed 3. I truly love driving the RX8. Hi Tom, good to meet you, and I sure as heck don’t know how you found my blog, but thanks a bunch for visiting! I currently own a 96 Chev Impala and don’t ever want to let it go. But I fear it may be time to put it under wraps just to save. Then again, drive ‘er into the ground till it dies altogether, right? I really want another VW bug convertible – seriously – if you can stop snickering, what’s your take on these? I think you should drive the car a little while longer but if it’s costing you over 1000-1500$ year to maintain I think it may be time to seriously consider your desire for a bug 🙂 Although I may not be a fan of the “quirky” car segment, the bug, mini cooper, kia soul, honda fit, etc quirky cars definitely have something about them that draws a crowd !! I’d say go for it and if you want me to help find a few in your area at the best price and look at certain things to look for when buying a big, I would love to help! Live to drive and chase your dreams!! I love this video review of the Mazda 3 by Tom Comegna… There’s a lot to be said for real car reviews done by real people! Top Gear Canada…..come on now people….or at least motoring TV….come on give me an interview guys!! Love your enthusiasm. It’s almost contagious. Thank you so very much for that comment! That’s my goal plain and simple to make my passion reach all viewers period. This is a cool blog Tom Comegna!